Knoblauchhaus is a museum in Berlin’s Nikolaiviertel district dedicated to the unique architecture, culture, and social life of the progressive Biedermeier era. Built in 1760, the 3-story baroque townhouse was home to the prominent Knoblauch family, and today its living quarters are true to the original house. During the Biedermeier era—between the end of the Napoleonic Wars (1815) and the onset of European revolutions (1848)—the Central European middle class thrived, rejected the formal, opulent style of the French empire, and embraced a fresh, light, and modern design aesthetic. A much more innovative and democratic style, Biedermeier was the first decorative movement created by and for the middle class. 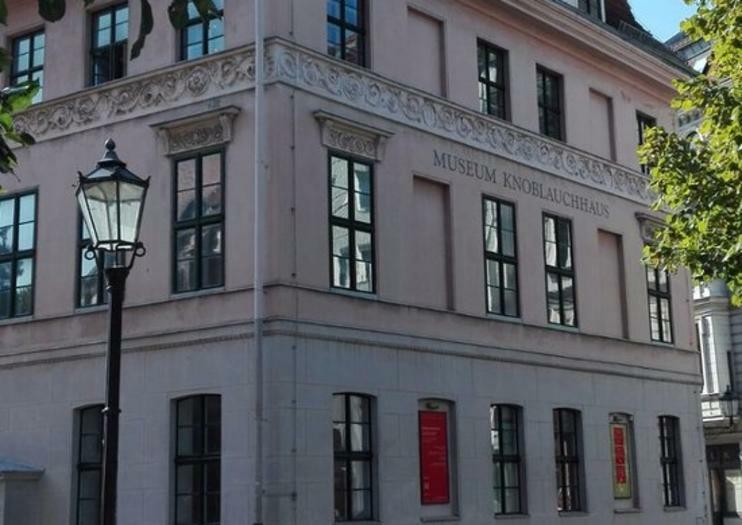 Soak up life during this era in the Knoblauchhaus, one of the few remaining 18th-century townhouses in Berlin, through the museum’s everyday objects, furniture, pictures, and historical letters on display. Knoblauchhaus is ideal for art and architecture buffs. Admission is free, though small donations are requested at entrance. The museum is accessible to wheelchair users. Knoblauchhaus sits under the imposing Berlin TV Tower (Fernsehturm) on Poststrasse in the Nikolaiviertel district, which is itself within Berlin’s central Mitte neighborhood. Take U-Bahn line 6 to the Berlin Friedrichstrasse stop and walk a few minutes to the museum. The museum is open 10am to 6pm Tuesday to Sunday; opening hours may vary on holidays. Go in the morning to avoid the crowds. In general, the best time to visit Berlin is the spring (though it’s quite rainy, especially in May and June) and summer, especially for the legendary Love Parade in July. It’s quieter in the fall and winter, when temperatures and rates drop. Dating back to 1200, Nikolaiviertel is the earliest settlement of Berlin, and this tiny pocket of the city has an interesting history. The city was heavily bombed during World War II, but nevertheless in 1979 decided to entirely rebuild and restore the area it to its charming state. Though the townhouse that houses Knoblauchhaus is entirely unique and original, many of the buildings along the surrounding cobblestone streets are replicas and have a slightly Disneyland-ish feel.